‘In Focus: Women of Board Gaming’ is an exclusive series from Punchboard Media that spotlights women in all facets of the board gaming industry. Our second guest is Sara Erickson, Director of Sales and Marketing for Renegade Game Studios, who shares her experiences working behind the scenes in the business, and tells us about some upcoming Renegade titles. The interview, which will be published in two parts, was conducted over email by Eric Buscemi. So, I understand you got into board gaming when you and your husband bought Rook's Comics and Games after finishing college, and you hadn't read any comics or played many modern games before then. That has to be the most all-in approach to entering this hobby I've heard yet. Tell us more about Rook's, and how taking it over went for you. Rook’s is just about to turn 11 years old and is still running strong with the efforts of our incredible staff. Taking over a small existing business seemed much less scary that it should have been because we were young and didn’t know any better at the time! My husband has always been a natural businessman and loves to dwell on the numbers and behind the scenes operations. I love people and enjoyed creating a “third space” for the community that quickly developed. Running a business is an incredibly fulfilling experience and gave me a great understanding of one tier of this industry. We have certainly been a bit lucky, but a lot of hard work and dedication to running it as a business and not a club house has kept us around so we can continue to provide a socially safe place for people to enjoy their favorite hobbies. You've now worked for a few publishers, but before that, you started by volunteering for Wizards of the Coast. What was that experience like? It’s true! Soon after taking over the store, I began volunteering for Wizards of the Coast at large conventions (Gen Con, SXSW, PAX, SDCC, Magic Worlds, etc.) We had a pretty tight knit team that quickly became a traveling family. I had only ever been to Gen Con once before working for Wizards, so I was exposed to the behind the scenes side of conventions very early in my gamer life. Being on the show floor while all the booths are being built feels a bit like watching the factory tours on Mr. Rogers. I love knowing how things work so it wonderful to be part of that. It was also a great pleasure to spend time with the Wizards staff. Most of the people I met there 10 years ago are still working on the same team. It’s a testament to both Wizards as a great place to work and to that particular team’s leadership. I am very lucky to have been part of it. One of my favorite things we ever did during a convention with Wizards was at PAX prime right before the launch of Lorwyn where they introduced Planeswalkers. We assisted convention attendees in acquiring clues that they needed to receive an invitation to a special event hosted after show hours at a posh club downtown. When we arrived at the club, there were several small rooms, each painted the color of the room’s Planeswalker. Attendees could go to each room to take their picture with the Planeswalker and learn more about them. They had huge version of some of the cards from the set that had never been seen before as well as Magic themed drinks. The whole event was a blast and I was inspired by the excitement it created in the crowd. Working for Wizards was a great springboard to my career on the publishing side of the industry. What similarities and differences do you see between collectible card gaming and board gaming? They’re certainly both hobbies and it’s generally difficult to find time or money to participate in more than one or two significant hobbies, even if they seem very similar. I believe this is at least part of why you don’t see as much overlap between these groups as you might expect. However, they do also have many similarities. Collectible games are exciting because you can learn one rule set and then work within that framework. There’s still suspense from opening new packs. Successful collectible games continually need new content which is expensive and time consuming to produce but you have a built in crowd and it’s easy to know how much to make. Both the publishers and the gamers can fit comfortably into a pattern but it can feel relentless for both groups. Board games are brand new and fresh every single time. This means that each one is a risk. It can be super exciting to get a new game in the mail but it’s so hard to know if it’s going to live up to the hype. This is super tricky for publishers and consumers. It also means learning a whole new set of rules for how to play the game for gamers, and how to market and sell the game for publishers. Just because you have a beloved designer, artist, or theme doesn’t mean the game will be successful. But, you can go at your own pace and publish games when they are ready instead of when you need to get another product out the door. Personally, I’m on a board game kick right now but I do miss playing the World of Warcraft TCG! Your first paid job in the board game industry was with Cryptozoic. What games were they releasing at this time? What did you do working for them? Initially, I was part of the organized play team for the World of Warcraft TCG. I played it at my store with a group of friends and we had a blast raiding together. When Scott Gaeta offer me a job as the retailer coordinator on the OP team, I just couldn’t pass it up. I’d been running big TCG events at my store for 6 years and felt like I knew what challenges face the average game store owner. I helped them coordinate weekly, and seasonal events, manage volunteer staff, and get the most out of our promotional programs. I loved meeting so many retailers at distributor open houses and getting to know players at our Darkmoon Faire events we hosted around the country. Right around the time I started, Cryptozoic also began creating board games including the Walking Dead Board Game and the DC Deck-Building Game. Both were huge hits when they released. It was fun to see all the new people who were entering the hobby because they loved DC or Walking Dead. Even if they knew nothing about games, they were willing to give it a shot. I love that licensed games can be such a great gateway for new players. I eventually transitioned into a sales and marketing role at Cryptozoic as the company evolved. It was a pretty natural fit since I was already working with all the distributors and retailers for World of Warcraft. As part of the sales team, I turned my focus to selling board games and trading cards. It worked out well because I already knew all the right contacts from coordinating World of Warcraft TCG event kits and early releases. You then worked at IELLO. What was your job there? With IELLO being based in France instead of the U.S., was there a big difference in the company culture? At IELLO I was the Sales Manager. I worked with retailers and distributors to get all the correct information about our upcoming games and processed orders. I loved seeing an entirely new way of operating and especially appreciated the tech savviness of the US team. There are a lot of great tools out there for people who work from home and our whole team was spread out across the US so we took advantage of many online tools. It was especially helpful coordinating with the French team. It was a very big difference between Cryptozoic which is still an office based company centralized in Southern California, and a real international organization like IELLO. Cryptozoic did a great job of finding exciting pop culture licenses while IELLO really excels at beautiful art work attached to family friendly titles. Also, our US team was very small so we had a lot of freedom and cold be very agile. When I needed stickers made for an organized play kit, we could just make them without going through long approval processes with Hollywood studios. Both experiences were wonderfully different. By the way, was it your idea to make that giant King of Tokyo board that they bring to conventions? Because that is some marketing genius right there. The Giant King of Tokyo board already existed when I started working at IELLO. It certainly is fun! So you now work at Renegade Game Studios as the Director of Sales and Marketing. You must be very good at your job, because Renegade has put out a lot of hits recently, and has been getting a lot of buzz with their upcoming games. Are there any unique strategies you've employed to promote their games you'd like to tell us about? I think my biggest secret weapon is that I just play a lot of games. Because I still own my store, I have 2-3 regular board game nights a week and try to play everyone’s games. There are certainly too many new wonderful games coming out to get all of them on the table, but I do my best to keep up. It really helps to be able to talk about our new games within the context of what’s hot right now. With that changing faster than ever, it’s even more important. Any chance for a giant copy of Flipships to bring to conventions? Just throwing it out there. We have some fun stuff at our booths for this summer. Make sure to stop by! I did get a chance to stop by at your booth at Origins, and I have to say I agree. You really get into the convention spirit, giving out ribbons and chunky Renegade Meeples. Plus, you were running tons of demos for Fox in the Forest, Sentient, and Flipships -- although sadly not giant sized. 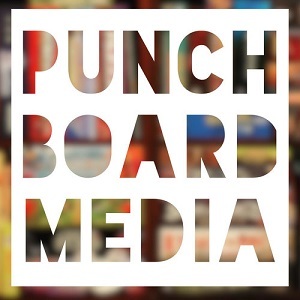 This was part one of Punchboard Media's ‘In Focus: Women of Board Gaming’ two-part interview with Sara Erickson. Read the second part of the interview, with details and insights on a number of upcoming Renegade Games titles, here.